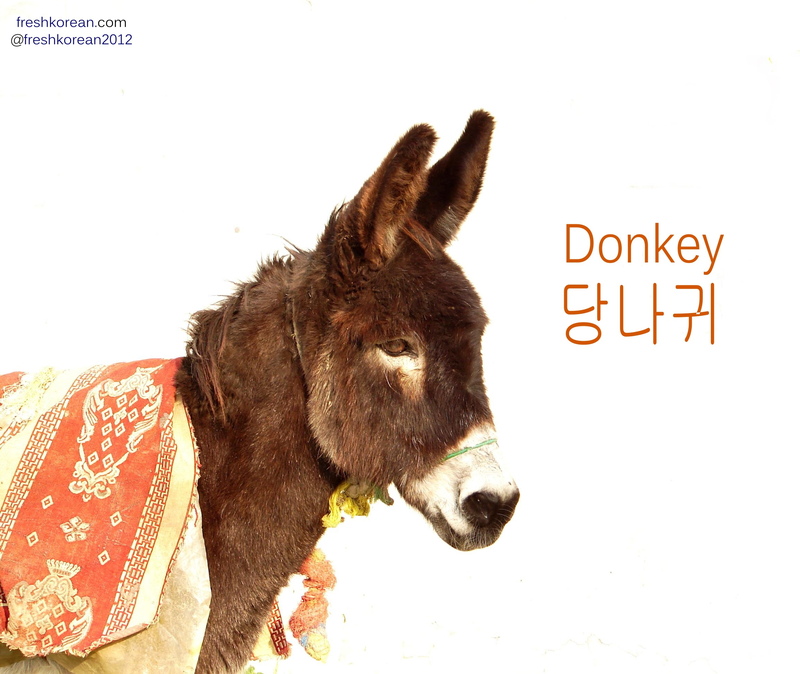 Today we have gone for one of the always loved but seldom spoken about farmyard animal the Donkey (당나귀). The Donkey has offer found itself important roles either by carrying Jesus or befriending Winnie the Pooh. Hopefully you’ve found today’s word useful and please come back again tomorrow for another Fresh Korean Word of the Day.